There are few issues that are more important than personal legal problems that involve divorce, child custody and support, as well as spousal maintenance. These problems are often highly emotional and will have lasting effects on the lives of everyone involved. 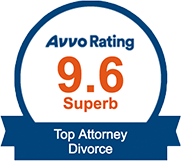 At the Law Offices of Steven P. Kuhn, we are committed to providing our clients with high quality legal care for serious problems involving family law. Whether you are going through a divorce, relocation, annulment or any other family law case, you can entrust your situation and your future to our dedicated and experienced Suffolk County Divorce Law Firm. Searching for a Suffolk Divorce Lawyer? When a divorce is contested, we will litigate aggressively and tirelessly for your best interests. These personal issues are some of the most stressful and difficult legal situations that one faces in life, and it is crucial that you have the highest quality legal representation on your side and protecting your rights. 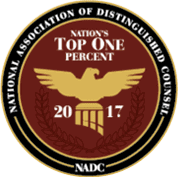 Our firm has outstanding qualifications to provide to those who are seeking exceptional legal counsel. Founding Attorney Steven P. Kuhn has been practicing law for over 35 years, and he has dedicated the last 25+ years completely to marriage and family law. 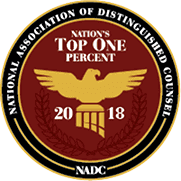 His clients have frequently been awarded counsel fees by the courts, and he also provides legal counsel to professionals throughout Suffolk County. Here at the Law Offices of Steven P. Kuhn, our clients include lawyers, CPAs, business owners, doctors, teachers, police & firemen and homemakers. 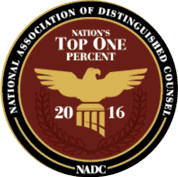 We receive many clients who have been referred by the friends and family of former clients who we have represented. Shouldn't you have the same high quality representation? A Suffolk divorce lawyer from our firm can assist in a wide variety of family law issues, including all types of divorce, such as contested divorce, uncontested divorce, or no-fault divorce. When a divorce is necessary, you want to know that your rights and interests are vigorously protected. As skilled litigators, our priority lies in protecting your assets and best interests. Our team can also assist you if you need an annulment. Annulment involves the process of proving that the marriage was not legal or valid when it took place because of some form of fraud or deception. We have also helped many individuals and families who have issues involving property or asset division and debt division. In order to resolve your legal case quickly and effectively, we are always prepared to review your financial situation at any time. When you contact our firm we will advise you on how we will move forward to protect your interests. Our legal team is very experienced in resolving legal matters that arise after a divorce is finalized, including a modification of child support or maintenance. Considering divorce in New York? Contact Steven P. Kuhn, Attorney at Law for a free consultation. Some of the most highly contested issues in marriage dissolution involve child custody. The ability to negotiate these matters successfully with the opposing counsel is an important part of divorce. Whether you are seeking joint custody, legal custody, physical custody, or need a child custody modification, our legal team can evaluate the situation and determine how to address the matter and pursue a successful outcome. We find that in many cases, negotiations are a far superior method to litigation. There are some cases, however, in which the other party makes unreasonable demands and there is no option other than litigation. We will be aggressive in pursuing the outcome that you want. In matters regarding child support, modification to child support, or enforcing child support, our firm is well-versed in all state law and can advise you what can be done to protect the best interests of your children and your family. We can also provide the legal counsel you need to address issues of relocation, visitation, draft a prenuptial agreement or post nuptial agreement or negotiate a settlement agreement. When you need a divorce or family law attorney, our firm can provide you with the high quality and experienced legal counsel that you need to protect your rights and interests. We are committed to providing the utmost in client confidentiality. Contact our firm today by calling (631) 629-6874 to request a free consultation. We also serve the residents of the East End, Southampton, Centereach, Hauppauge, Miller Place, Mount Sinai, Rocky Point, Setauket, St. James, Stony Brook, Wading River. With more than 35 years of experience, you'll want this firm on your side. What Makes Steven Kuhn the Right Choice? Port Jefferson Station and surrounding areas.